Stopped to capture the cloud formations and shadows on the hills. This is a really cool shot, Joy! I like the Pov and the composition. Happy Mother's Day. Have a safe trip. 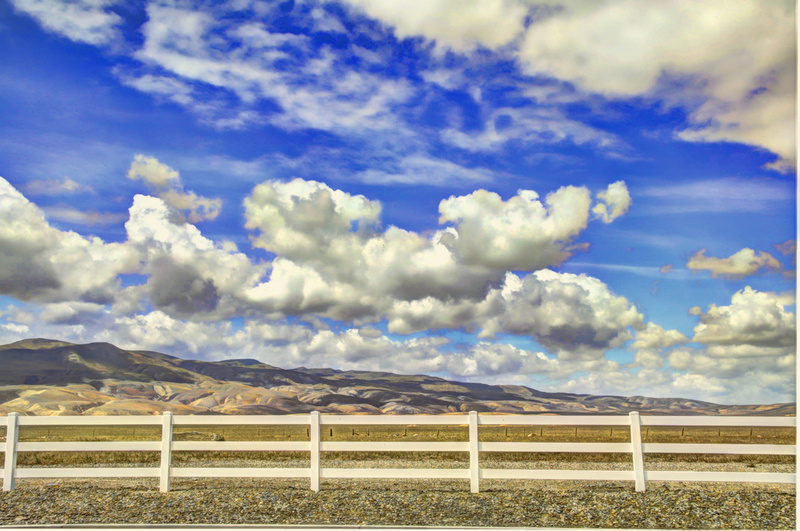 Fabulous shot...great fence line and very cool clouds! Wonderful composition, great mountains textures and super sky !!!!!! Stunning sky, and the light and varying colours on those hills is so lovely, fav for me.